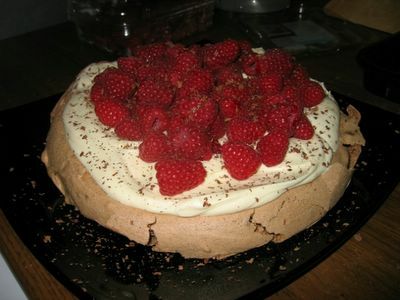 Whilst staying at Clarice's house in London, we decided that, given my obsession with fresh raspberries, Nigella's chocolate raspberry pavlova (from Forever Summer) just had to be made. 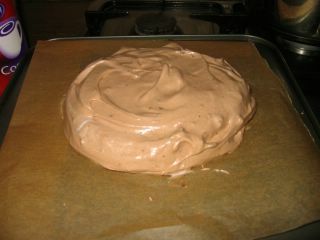 It's just an ordinary pavlova, (egg whites, sugar) with cocoa powder, grated chocolate and red wine vinegar added. 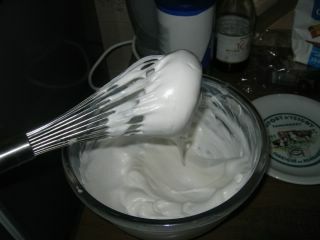 I whipped up the egg whites by hand! 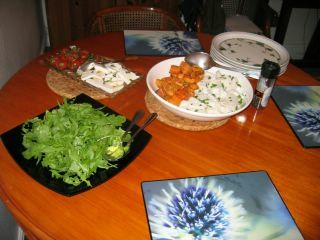 ...and then digging straight in! Mmm... that is a GOOD pavlova. 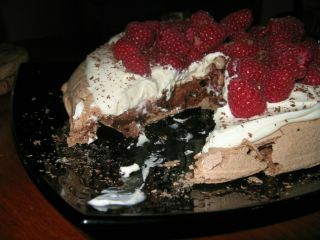 The little chocolate chunks embedded in the soft, chewy pav-mixture are just divine! 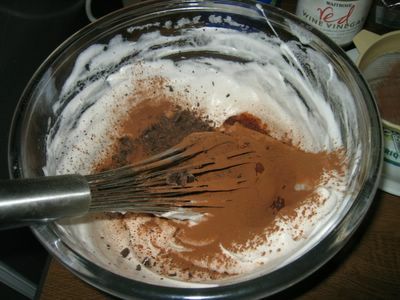 Combined with the bland and fatty cream, and the tart and juicy raspberries, it's a flavour and texture sensation. I am definitely pulling this one out next summer!